What is budgeting, and how can I budget? Budgeting is the process of planning your finances so that you know what expenses you are facing and how much money you will have after the expenses. 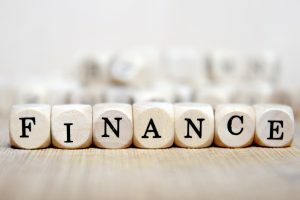 There are countless tips available on how to save your money, but there are core principles which must always be addressed in order to be successful. Although you often have little control on the amount of income per month, you can at least alter your outgoings. This guide will give you ideas on how to budget. When you budget, you should be recording all your income and outgoings each month, including any ‘one-off’ payments such as car tax. There are several online budget planners available which can give you a breakdown of your spending, divided into broad categories such as: family/friends, household bills, leisure, living costs and travel. You should identify the unnecessary outgoings you have, so you can then cut back on them. For example, things such as magazines and takeaways can often be reduced to save you more money. Stopping Direct Debit payments for subscriptions you no longer want is another good way to save. Creating goals is a great way to motivate you to save. Good examples include saving for a holiday, a new car, or spare money during maternity leave. A smart way to start budgeting is by saving a few months’ wages to provide you with an emergency fund if you lose your job or need something repairing suddenly. Ideally the money will be saved into an instant access account. As well as this, you should look to pay off any loans or owed money, beginning with the debt that charges the most interest. But, be sure to keep to all of your prior agreements, or else you may face penalties. Many people tend to set up a standing order so that a certain amount of their income is automatically paid into a savings account. If you receive a pay rise, increase the amount you save each month. For those on a low income, you may need to be more organised with your budgeting, and also look into the benefits you may be entitled to. For example, you could receive an energy efficiency grant or Income Support. In some instances, the government may offer you a loan to help with clothing, furniture, house maintenance, travelling and unemployment. This Budgeting Loan is from the Social Fund, and is interest-free.